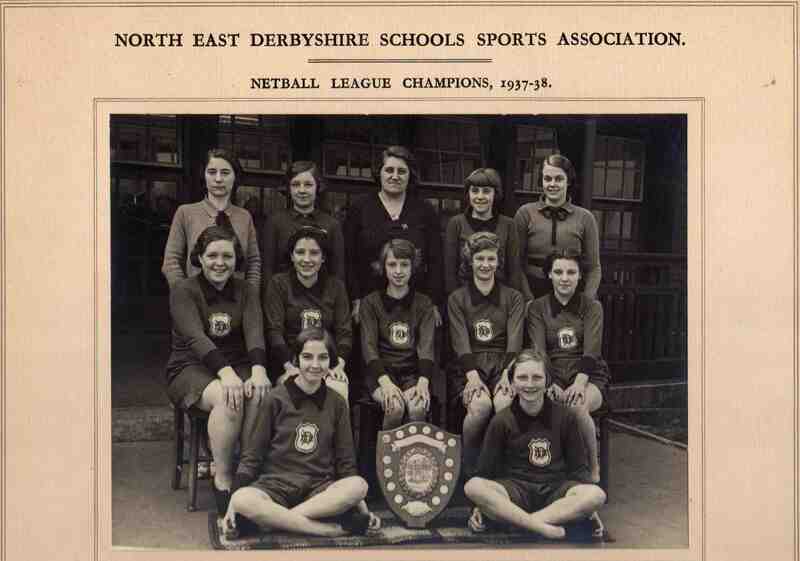 Killamarsh Central Schools – Netball Champions 1937-38. See note below. Photo courtesy of V. Hopkinson. Middle row (left to right): Annie Greensmith, Elsie Watford, Dorothy Tierney, Nellie Wright, Joan Wright. Front row (left to right): Olive Rivington, Brenda Batty.